Buy the digi book here. After finishing your story outline, you are ready to write your first rough draft. This is where knowing your audience is really important.Let’s say I was writing about a bouncing ball. Watch how the simple story ideas change as the audience changes. Can you guess who the audience is? I love to be outside. I eat outside, I run outside, and I play outside. I like to play with my ball outside. I throw the ball in the air. It comes down and bounces up real high. I like to play with my ball outside. One day, Isacc and Naveah were playing catch in their backyard. Naveah threw the ball to Isacc so hard that it almost knocked him over. Since Isacc didn’t want to be hit with the ball again, he came up with another idea. They were going to have a competition to see who could throw the ball the highest! Isacc took the ball and threw it as high as he could. When the ball came down, Naveah caught it and threw it up to see how high she can throw. On the way down, the ball hit the ground and bounced back up as high as the top of the tree. Both children laughed and they continued throwing the ball high into the air. There are many benefits to young children playing with bouncy balls. They can learn hand-eye coordination and depth perception, as well as shape and color recognition. Additionally, they will learn sharing skills by interacting with other children and the balls. According to Newton’s first law of motion, an object needs to have an external force exerted upon it in order for the object to be set into motion. The object then uses kinetic energy while it is moving, and when the object returns to its motionless state, it is said to have potential energy. For example, a ball sits on the floor. At this point, it has potential energy. Then, Jimmy picks up the ball and bounces it. Jimmy provides the external force, which comes from him bouncing the ball. While the ball is bouncing, it is using moving energy, or kinetic energy. Did you say that the first example was for toddlers and early readers? Or that the second was for elementary aged children? How about the third being geared towards parents? Or the last being geared towards students, teachers, or researchers? For children’s picture books, the main purpose is to have the story be a learning experience for the child. The child will use the book as a guide towards how the world works. There is always something, whether physical or moral, to be learned. 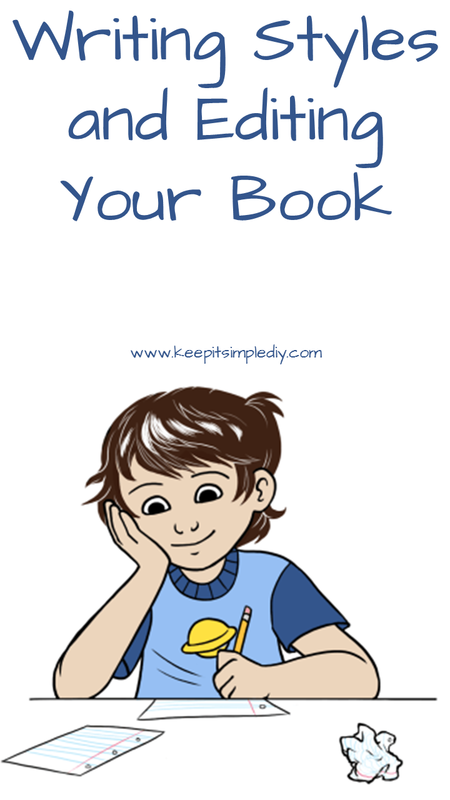 For children’s chapter books, the main purpose is to encourage the child to read. To do this, you need to make reading fun. Children this age love adventure, mysteries, and being able to pretend they are in the character’s shoes. Make sure to add a lot of extra description to the main story line to peak your reader’s interest. When writing for adults, remember to maintain a certain level of professionalism and respectability. Try not to use slang in your writing as it makes others more skeptical. At this point, your audience is completely capable of pulling out hidden meanings and translating metaphors. Use less description or ‘juice’ as you would for a children’s chapter book because the adult likes to be able to create the fantasy in their head. Leaving a little for mystery is a good thing; just make sure not to overdo it. You still need to have your story line firm. Lastly, when writing for research and learning purposes, use a guide to ensure that you are formatting your work correctly. Each piece of educational literature has a rhyme and a reason for how it is done. Make sure to research enough before you attempt to create your piece. Don’t forget to maintain professionalism in your writing as your target audience is adults.